Delhi BJP today attacked AAP National Convenor and Chief Minister Arvind Kejriwal for “defending” young Patidar leader Hardik Patel who is currently lodged in jail in Gujarat. Delhi BJP president Satish Upadhyay said that Kejriwal has “shamed” his post and people by his defence of Hardik Patel. “By defending Hardik Patel who has been denied bail by the judiciary finding his acts anti national and anti society CM Kejriwal has shamed the constitutional posts he holds and the people of Delhi,” he said in a statement. 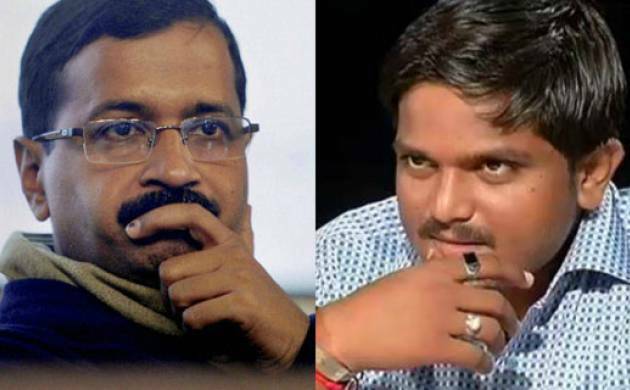 Kejriwal had earlier said that Gujrat government should “withdraw” charge of sedition against Hardik Patel adding that he is not guilty of sedition. “We already know that Kejriwal is a anarchist but the way CM Kejriwal has defended Hardik Patel it appears that he is fast turning a opportunist anti national who may tomorrow defend Mathura’s Rambriksh Yadav too,” Upadhyay said attacking Kejriwal in his statement.